Canada Day is just around the corner! Can someone remind me where June has gone again? 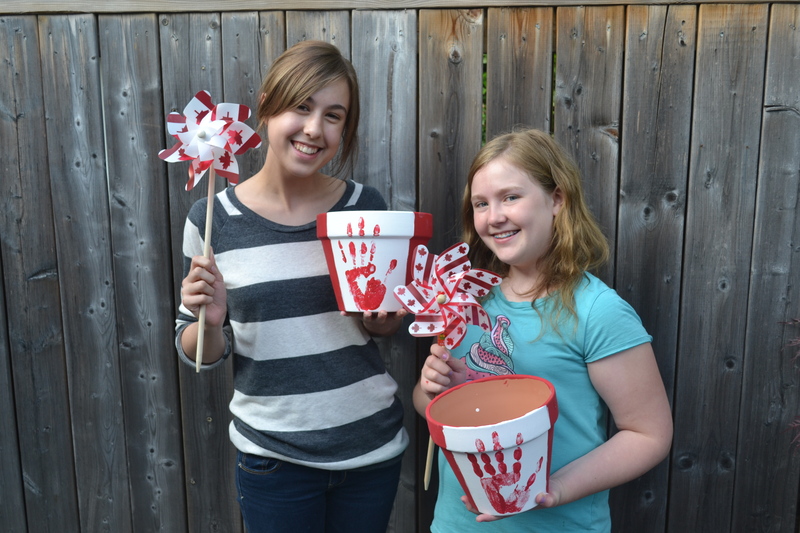 To show our national pride for Canada Day 2014, we decided to start crafting! 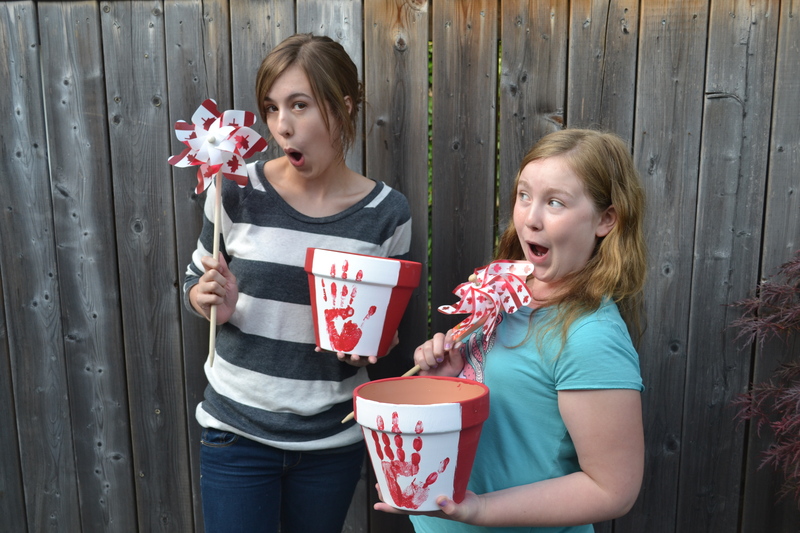 Sarah and I spent the sunny afternoon painting Canada Flag terra pots and are super excited to show you how to do this craft – so we hope you can follow along. This craft is 100% kid proof and receives Sarah’s stamp of approval. 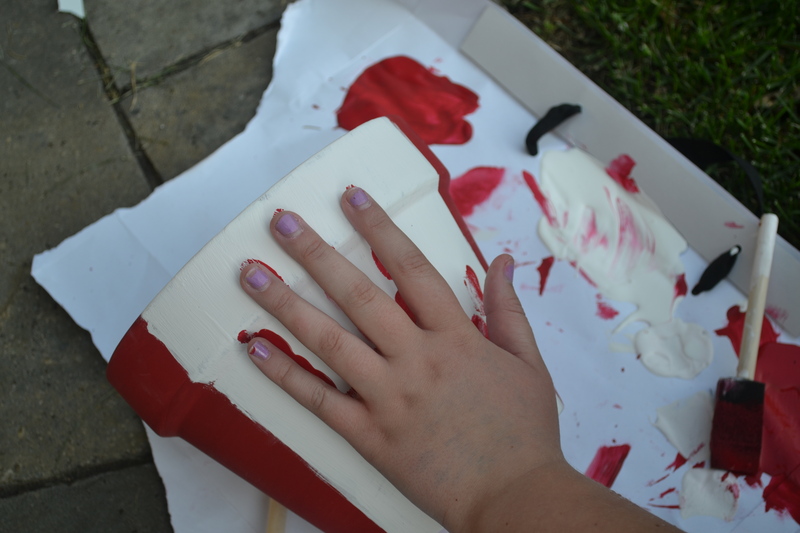 This step is very simple – just pour your red paint onto a palette and dip your first sponge brush in the paint. 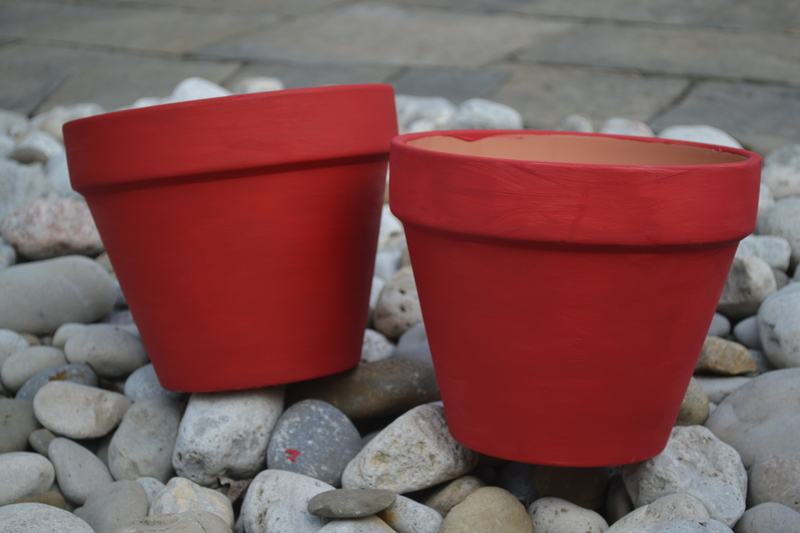 Paint the red paint over the entire terra pot and try to spread the paint very evenly. This works best with THICK coats of paint. You may need to apply multiple coats- mine needed 2! Let the red paint dry completely before moving on to the next step. 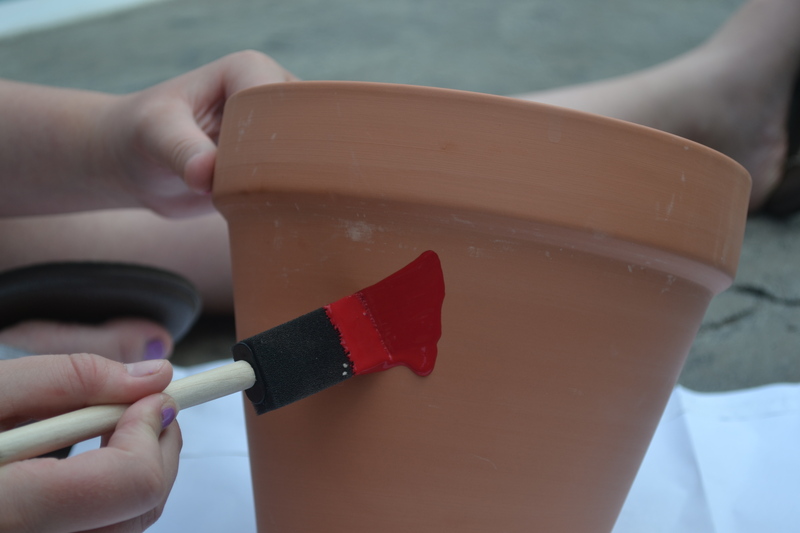 Once your terra pot is all painted red and is dry, you can start painting the white part of your Canada flag with your second sponge brush! We marked ours with a pencil before we started painting. Make sure the white block in the center of the terra pot is big enough to fit your entire hand. 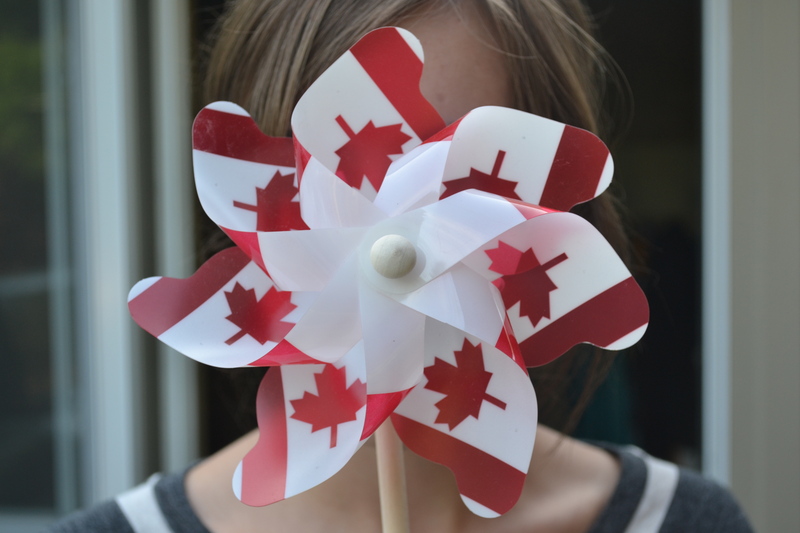 The unique part of this craft is that your hand will be the maple leaf! This makes this craft perfect for younger kids. 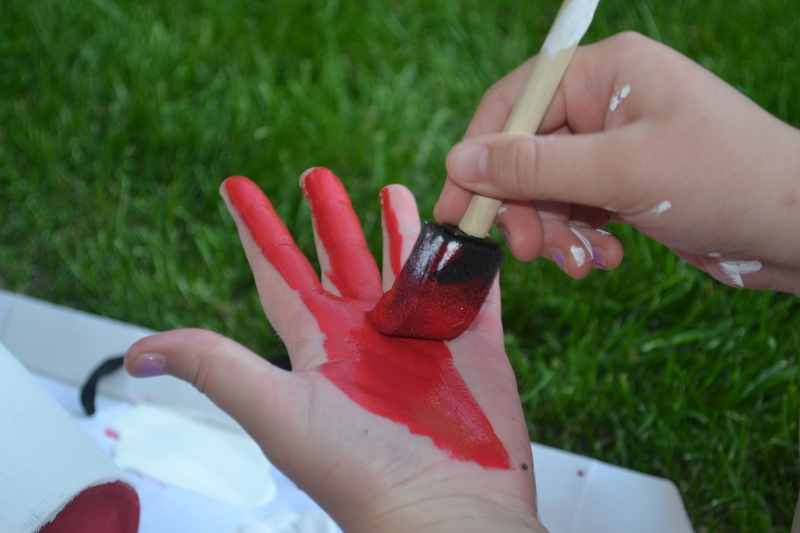 First, paint your hand with the red paint (make sure you apply a fairly thick coat and smooth out any drips and puddles). 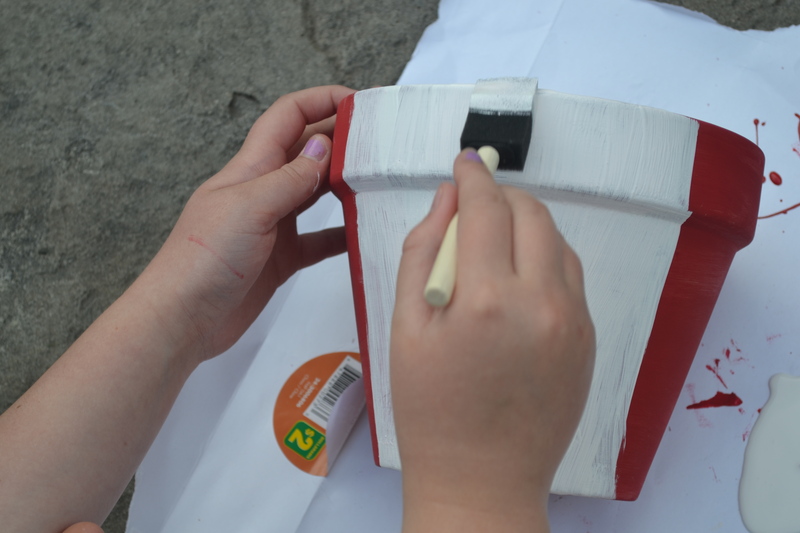 Next, press your hand down in the center of the white area on your flower pot. Make sure you hold you hand very steady to avoid smudging. If you are doing this craft with younger child, I suggest holding their wrist and flattening out their fingers for them. 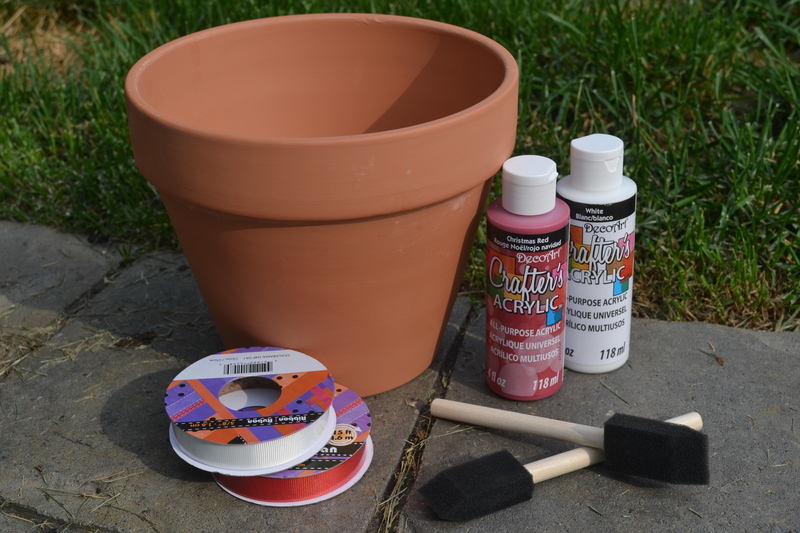 Your pot should now look finished! 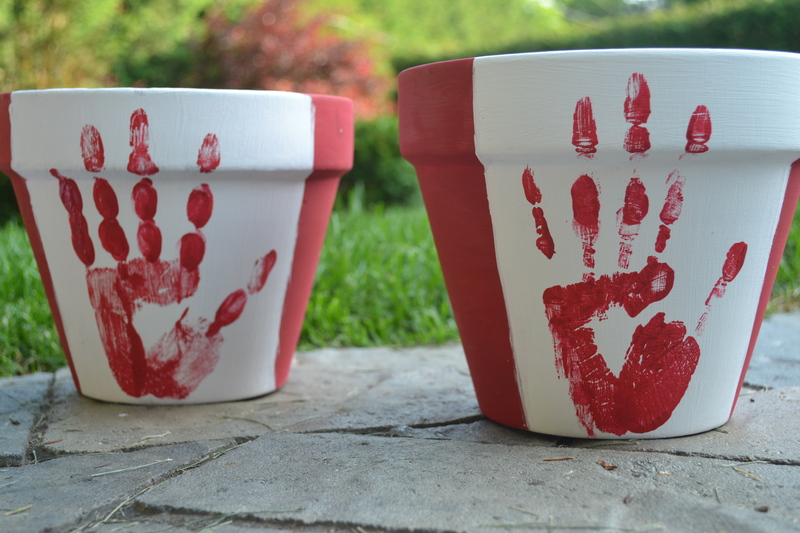 Decorate the terra pot with red and white ribbon, add white polka dots or stripes or experiment with other creative ideas! Once your terra pot is fully decorated, you are ready to fill it with soil and plant some lovely flowers in time for Canada Day! My Grandma’s Garden wishes you a happy Canada Day! If you try the craft, please send us your pictures to our twitter. We love seeing your creative ideas! If you have any questions, please feel free to comment below or send us an email.